The Negev Desert—the southern region of Israel—has a history of creating something from nothing. Agricultural and energy innovation, including endless solar panels and even the invention of the cherry tomato, is abounding. That said, the region has long lagged behind the bigger cities, such as Tel Aviv and Jerusalem, as far as quality of life, health, culture, education, infrastructure, and employment opportunities are concerned. Thus was born the "Negev Now" Initiative, a partnership between Israeli government and local authorities with support from philanthropic federations throughout the United States and Canada. 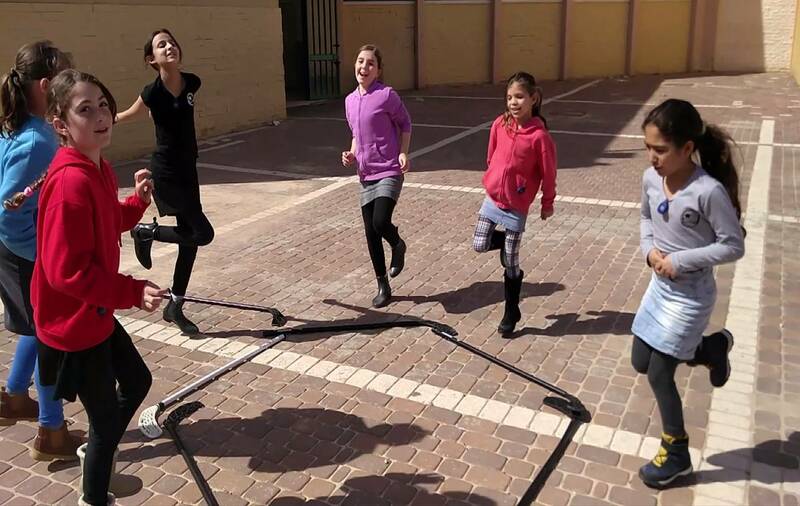 The group aims to promote quality of life in the Negev through creative and healthy placemaking projects, with a strategic focus on place-based educational programs for children. Along with the momentum generated by the release of PPS’ new report, The Case for Healthy Places, the following two case studies from the Negev show how placemaking projects can support healthy living and contribute to a sense of pride in place. Netivot is a growing commercial, cultural, and spiritual center in the Negev, and boasts the area's main retail centers, open-air malls, markets, nightclubs, places of worship, and restaurants. Yet, finding healthy dining options in the area is a real challenge. Netivot's local community, a predominantly traditional Jewish population of North-African descent, is well-known for its delicious but decadent homemade food. Compounding this problem is the fact that very few places in the city offer opportunities to engage in physical activity. Even those that do are not accommodating for all community groups; young mothers and elderly residents frequently face accessibility and safety challenges. Two years ago, however, things began to shift. A citywide initiative was underway, coined the Wellness Roundtable, convening municipal representatives, volunteers, community members, and philanthropic organizations. These stakeholders put their heads together to create a wellness menu, complete with activities, events, and physical amenities from which the local community could choose. The group’s first major effort was the development of an active curriculum program, called the Smart and Active Classroom, designed to promote healthy living among school children and, subsequently, their families. The program was introduced into a handful of elementary schools throughout the city. Young students in these schools were given fitness trackers, and physical education instructors were brought in to integrate physical activity into their core curriculum. The conventional Physical Education class was no longer the only time for students to be active; now, even Math and English classes had become opportunities for students to get moving. As a result, there has been drastic increase in physical activity among the students, in some cases reaching up to forty percent. Furthermore, participating students have become more engaged and excited about their core curriculum through the physically engaging learning strategy. It is well proven that adults and families are brought on board to new initiatives by the excitement of their younger relatives. Without question, the parents and teachers associated with participating schools have also become more active, and have begun to embrace healthier lifestyles. The hype generated by the classroom program prompted the Wellness Roundtable to continue its efforts, and this year, Netivot held its first-ever community 5K and 10K run. The students were heavily involved in the community run, and this coming year, will be trained as Junior Placemakers in order to learn how to engage their communities and get people moving. Additional events have been sprouting up throughout the year, catering to mothers, fathers, grandmothers, and young families, bringing opportunities for healthy and active engagement to public spaces across the city. Placemaking and engagement through educational channels has also been successful in other Negev communities. In Sdot Negev —known as Israel’s "barn," as it is home to most of the country’s crops and some of the most innovative and advanced agricultural companies—students are using digital placemaking to change the common perception and conversation about the history of their community. Their efforts are helping to tell the story of place and encourage local pride and connection. The farming families of Sdot Negev, many of whom are second- and third-generation farmers, have greenhouses in their backyards. Nonetheless, most of the region’s youth have never seen these farms from the inside, and are far from familiar with what it means to be a farmer. This lack of connection to the story of Sdot Negev is largely shaped by the mixed feelings associated with agriculture among locals: on the one hand, many adults were raised on agriculture and are nostalgic about and fond of the farming life; on the other hand, many families experienced firsthand the downfall of the agricultural sector, which led to farmers being forced to leave the farming sector and sell or rent their farms to large agri-businesses. This brought on not only a change in vocation, but also a disruption of social structures, traditions, and roles within the community. One group of children has taken initiative to change the perception and conversation about agriculture and place in their community, through a unique educational program that combines STEAM education (Science, Technology, Engineering, Arts and Design, and Mathematics) and digital placemaking. While many programs for scientific excellence across the country are targeted at the top 5% of students, this program in Sdot Negev is broader-reaching; junior high students, as a class, begin by either performing in-depth scientific research about a certain topic highly significant to the local agricultural community, or by studying existing scientific research pursued by other students in their community. Based on what they have learned, the students then create engaging stories using short-stop film animation, and portray the broader context of place through augmented reality. 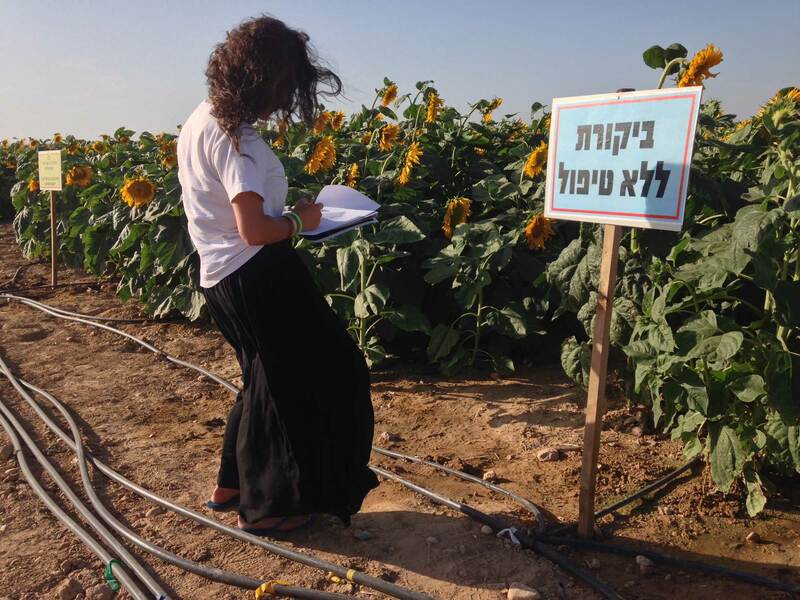 Students in Sdot Negev observe sunflower crops as part of their field research for the STEAM program. 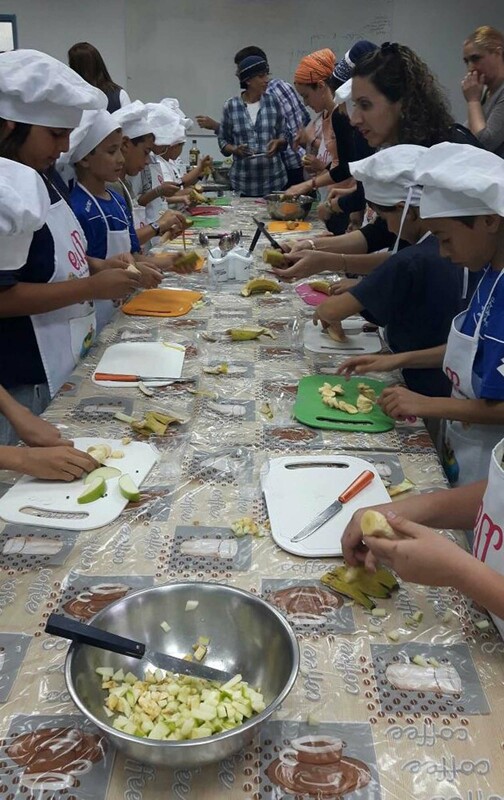 In addition to the Sdot Negev creative placemaking activities, students and their families were invited to workshops to learn more about healthy cooking and eating. As the program has gained momentum, the projects have become increasingly related to the public realm, in collaboration with the local municipality. Across the board, the youth and their families have expressed a newfound appreciation of local initiatives in smart agriculture, and have become more active in contributing to innovative agricultural ideas. The short films were even shown to the US ambassador to Israel and the Minister of Science. The students and their families were able to share the values of their local lifestyle and livelihood in ways that fostered pride and encouraged connection, especially between kids who were raised on farms and kids who have never experienced one. Over the course of only a couple of years, Negev residents have taken on active roles as placemakers. 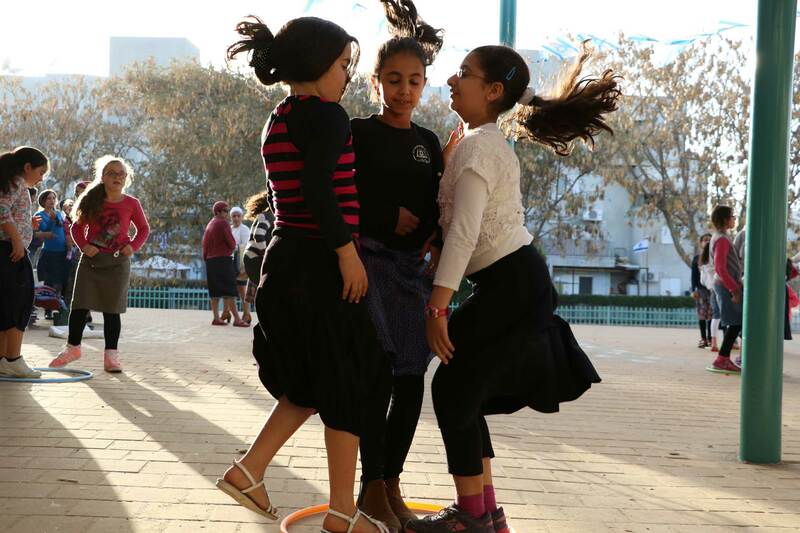 These community-driven solutions in Israel's Negev are another powerful example of the power that placemaking can have in promoting community health and activity, and connection and communication between people and the places they love.